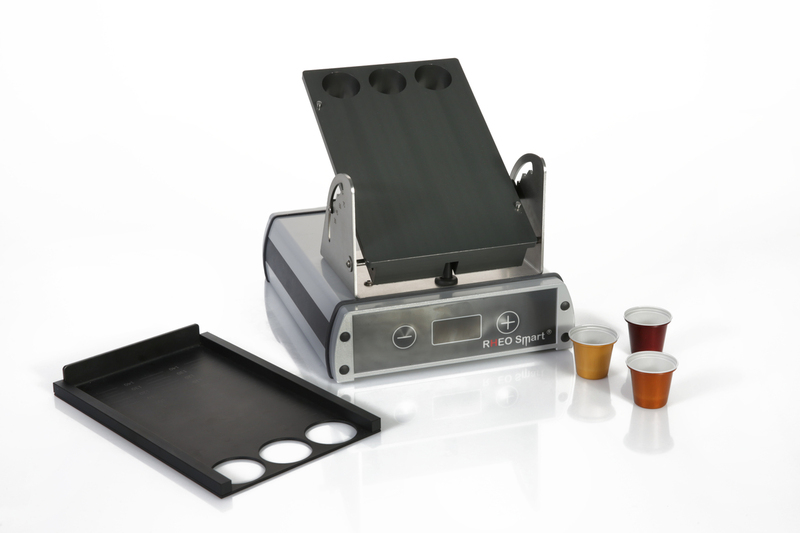 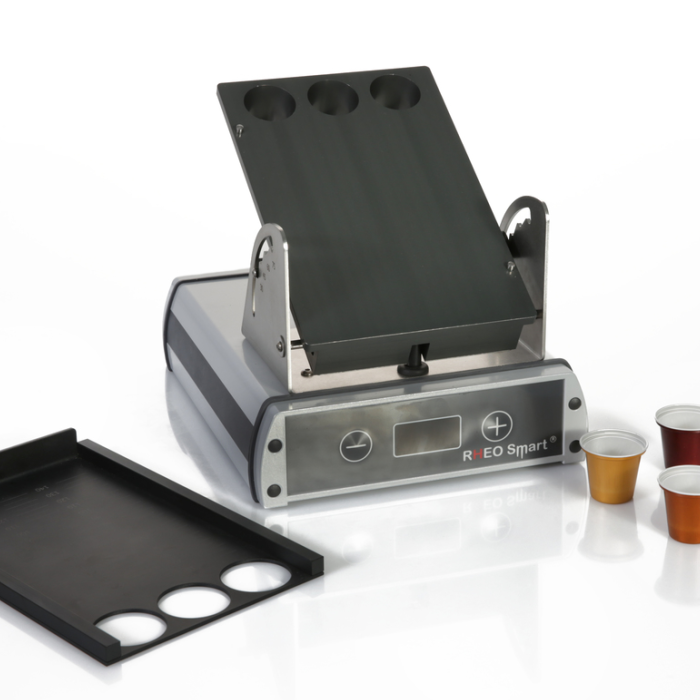 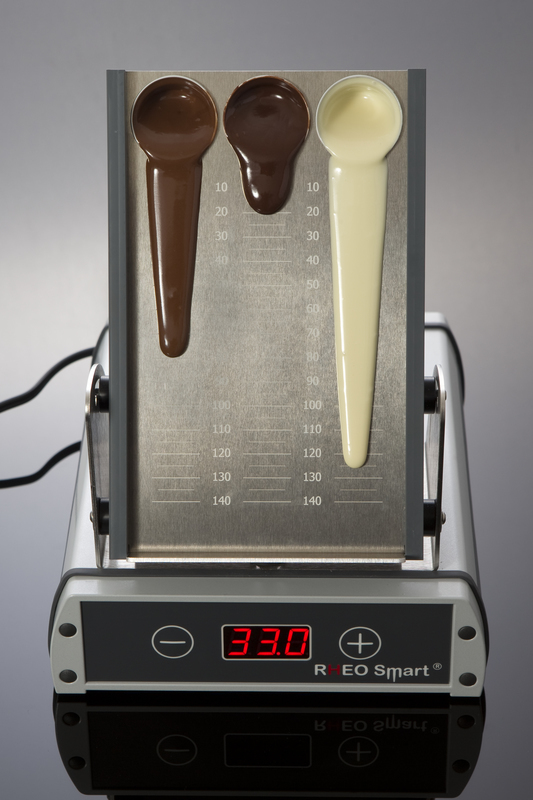 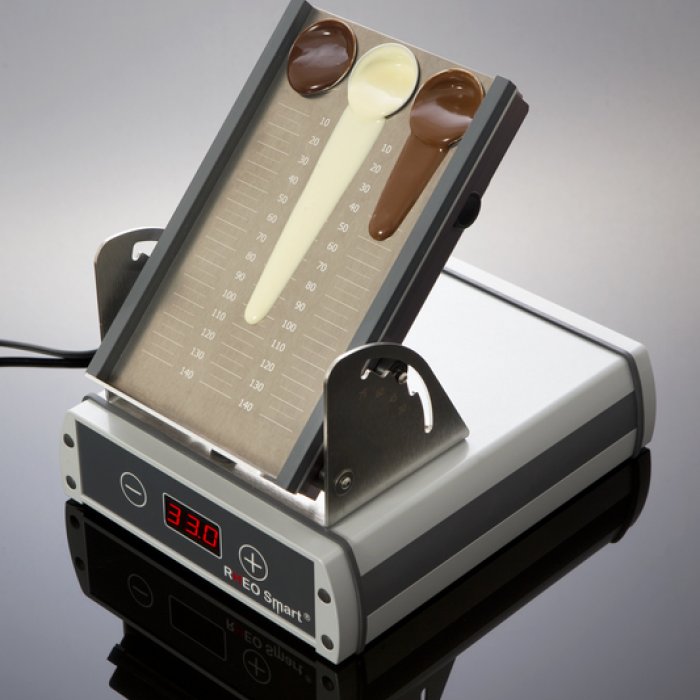 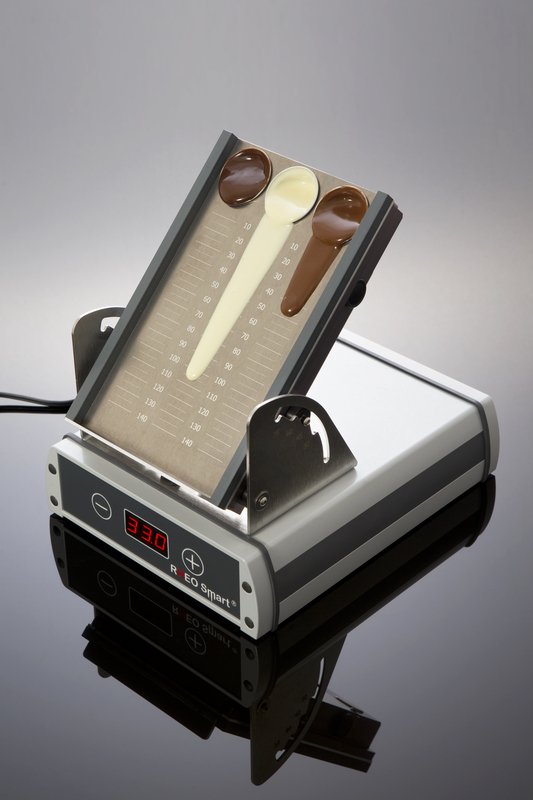 The MAGIC RHEO is intended to the users of One Shot machines and to all those who want to control efficiently and rapidly viscosity or flow speed of masses (chocolate, ganache and pralines) or fillings (marmalade …). 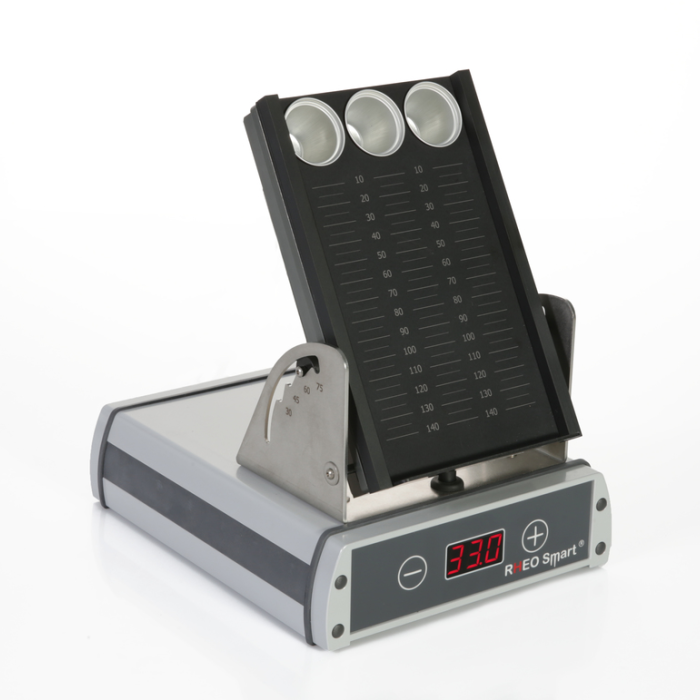 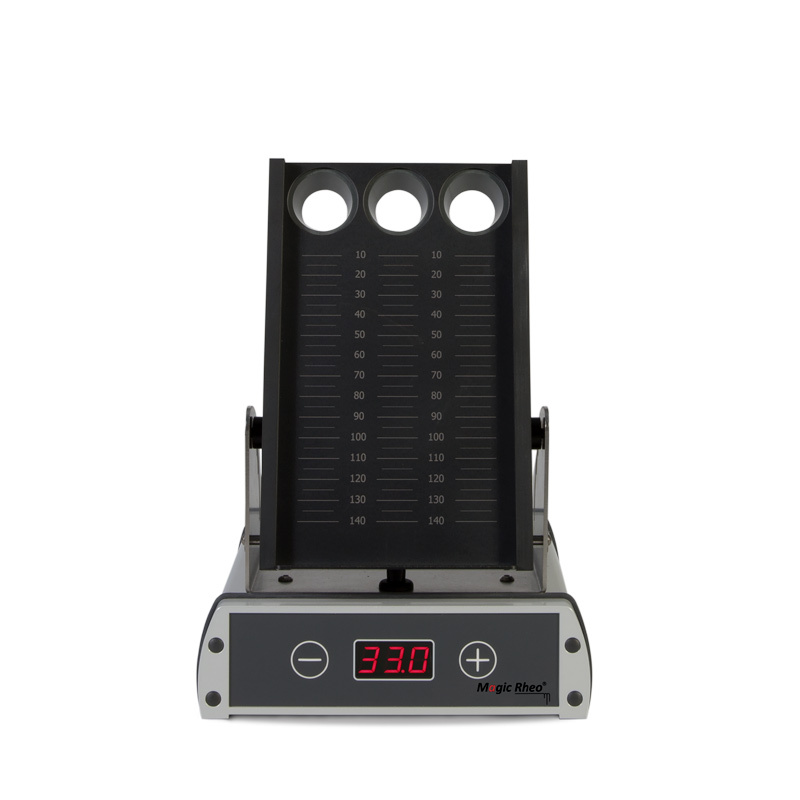 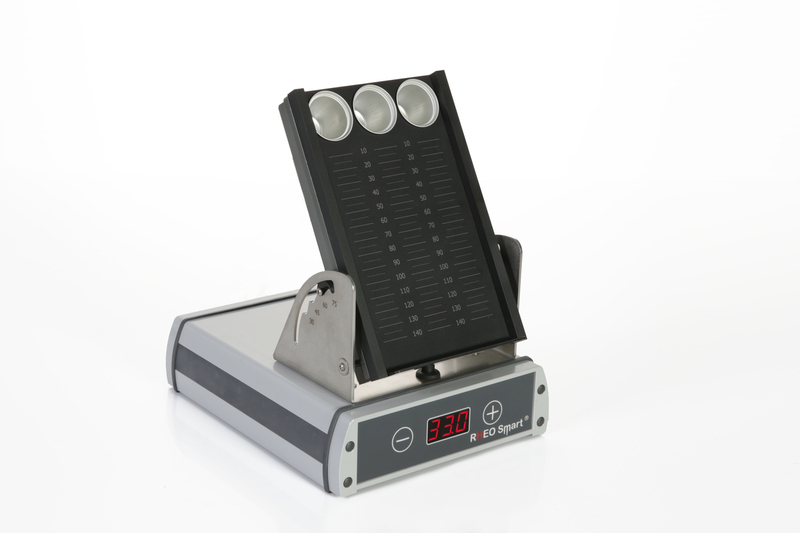 The heating plate can be fixed in different tilt angles according to the texture of the masse. 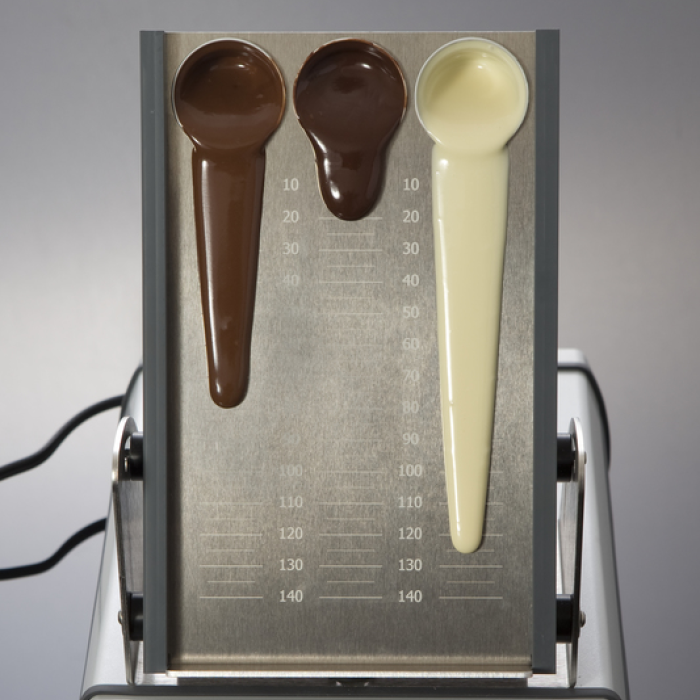 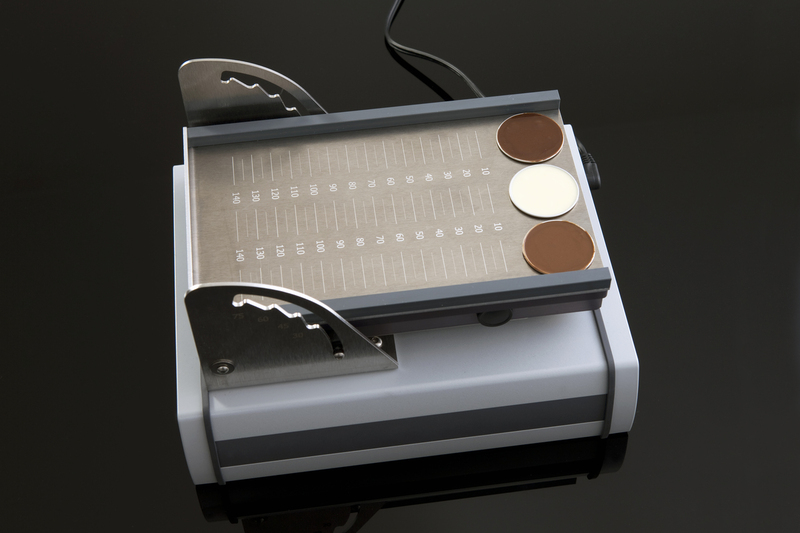 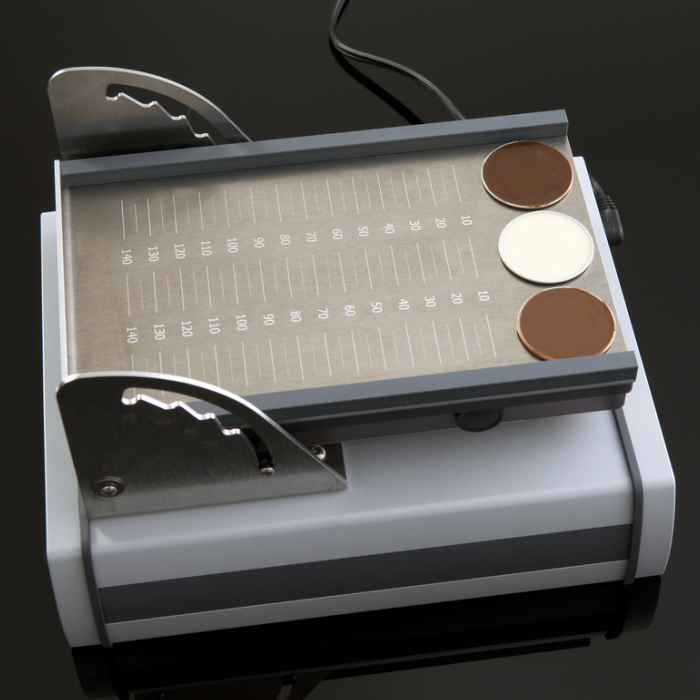 Development, manufacturing and supply of innovative equipments for chocolate professionals.